ABA’s Bath Western Riverside B1/2 scheme for Crest Nicholson has received a project award at the 2014 Housing Design Awards Ceremony. 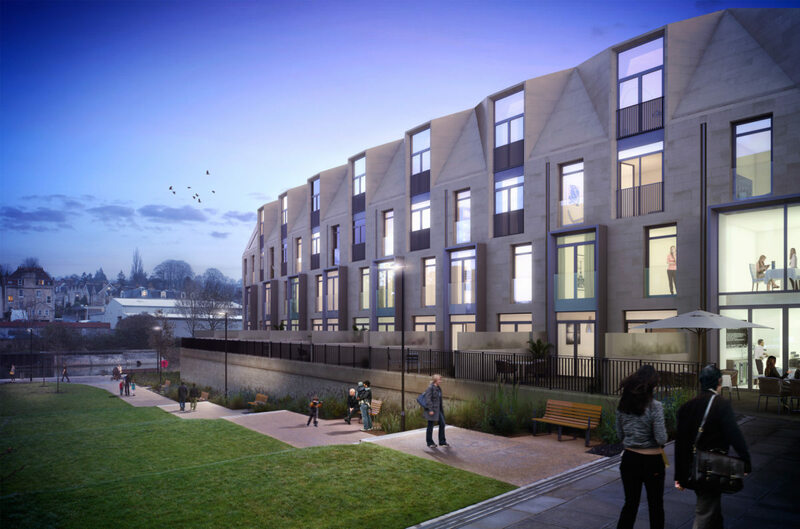 The 27 unit mixed use scheme forms Phase 3 of a 2000 home residential development transforming a former industrial site derelict for over 25 years. On the site of the famous Stothert & Pitt Works, the 44-acre development has been described as being the most important project the world heritage city has seen for more than 100 years.